Although there are many sources for mythology and folklore online, I often prefer to make use of non-electronic books when I just want to browse or quickly need to look up a name. These are a few of my favourite collections. This handy encyclopaedia contains six different sections: “The myths of Greece and Rome”, “The myths of the Celtic world”, “The myths of the Nordic lands”, “The myths of Egypt and West Asia”, “The myths of South and Central Asia”, and “The myths of East Asia”. Within these the gods, heroes, etc. are given in alphabetical order, which makes it very user-friendly. Lavishly illustrated (and using, among others, artwork by Alan Lee) it is also a delight to browse. It’s just a shame they used one of Alan Lee’s The Lord of the Rings artworks in the book, but I can look past that for the wealth of material it contains. On a side note, this book isn’t an exhaustive account of the mythologies. I would also have liked them to include a variety of mythologies from Africa itself, but unfortunately the Americas, Oceania, (most of) Africa, etc. are not covered in this book. 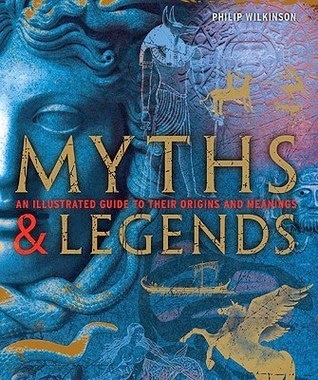 Therefore, if you’re looking for these specific mythologies, this isn’t the book for you. In other aspects it is a handy one to have on the shelf. 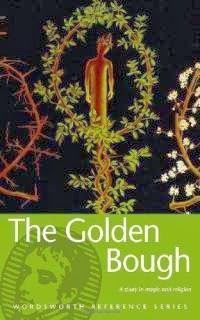 This book is beautifully designed with gold accents throughout and covers most of the major mythologies quite well. 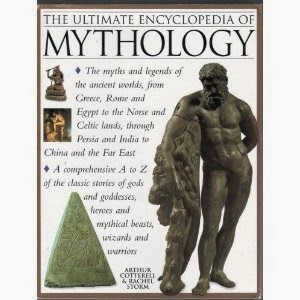 Because of the way in which it is written it is a great book for those new to these mythologies. Rather than used to only look up names or specific objects, this book is meant for reading and browsing. It is broadly divided into geographical areas – Europe, West and Central Asia, South and East Asia – and, behold – Africa, the Americas and Oceania (although the last three is really only touched upon). Like The Ultimate Encyclopaedia above, this one also has pages in which recurring motifs (e.g. “abandoned children”, “earth deities”, “shamans”, etc.) across mythologies are shown. Remarkable for its vast assembly of facts and its charm of presentation … it discusses fertility rites, human sacrifice, the dying god, the scapegoat and many other symbols and practices which have influenced a whole generation of 20th century writers, including D.H. Lawrence, Ezra Pound and T.S. Eliot. Have you found these books useful? Or which other collections or books do you prefer? I would love to know! They sound great 🙂 My current favourite reference book is “The Element Encyclopedia of Fairies” by Lucy Cooper. It’s “the ultimate a-z of fairies, pixies and other fantastical creatures”. Though I would prefer it to have more detail, for finding folklore creatures not commonly mentioned in pop culture it’s working nicely. It doesn’t mention creatures from mythology, though.